The EliteBook x360 1030 G3 Core i7 SKU is a perfect example of why a pricier configuration may not always be the fastest when compared to a less expensive SKU. The Core i7 CPU on our HP is measurably slower than the same model with the more affordable Core i5. 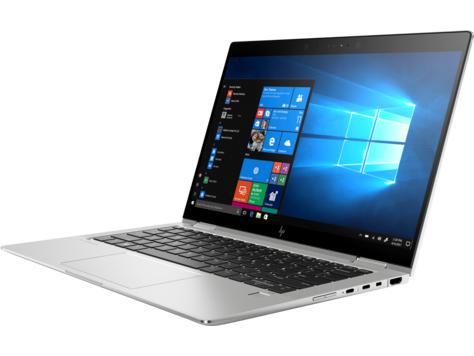 Other than these small issues, we found the HP EliteBook x360 1030 to be an outstanding product for mobile professionals, students and home users alike. Its 2-in-1 design offers the flexibility the modern work force sometimes needs and it has battery life that competes with the best of breed out there currently. HP also offers plenty of optional accessories to further increase productivity, while the EliteBook x360's sleek chassis will look great in the conference room, coffee shop or classroom. All told, the new 3rd generation HP EliteBook x360 1030 is HotHardware Recommended. Business convertibles don't come any better than the HP EliteBook x360 1030 G3, an executive 2-in-1 that combines ample power with a sunny 13.3-inch screen and a snappy keyboard in a petite 2.76-pound package. The EliteBook x360 1030 G3 is an all-around great PC though. It has B&O speakers that fire right at you, a beautiful aluminum body, the ports you need, and it's a convertible. That means that you can use it as a laptop, a tablet, or anything in-between. The EliteBook x360 1030 offers a beautiful panel, a great keyboard and solid battery life all condensed into a durable, high-class design. Positive: Elegant design; compact size; light weight; high performance; nice touchscreen; good cooling system. Negative: Low autonomy. 8650U: Kaby-Lake-Refresh based low power quad-core processor. The four cores are clocked between 1.9 and 4.2 GHz (Turbo Boost) and support HyperThreading. The integrated GPU is clocked between 300 and 1,150 MHz. The SoC is manufactured in a 14nm+ FinFET process. » Further information can be found in our Comparison of Mobile Processsors. 87.38%: This is a good rating above average. Nevertheless you should not forget, that 10-15% of all notebook-models get a better rating.